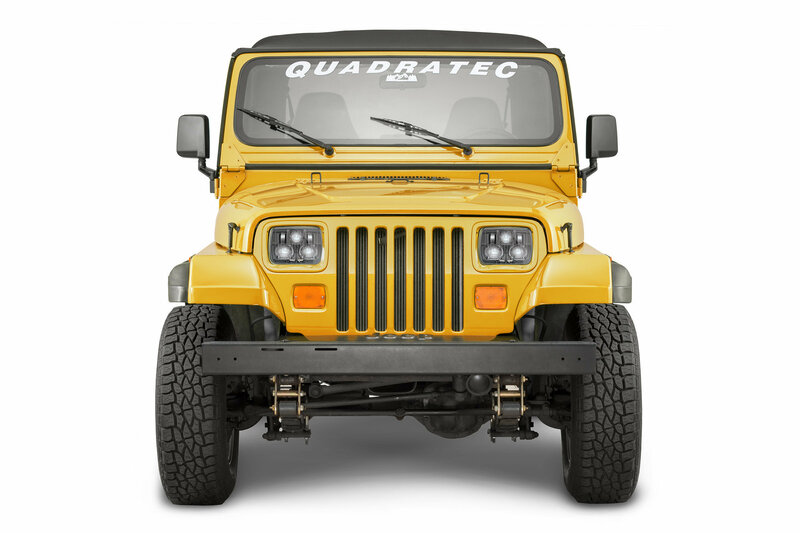 Our revolutionary high performance LED headlights are exclusively engineered for Quadratec by J.W. Speaker and offer Dual-Burn® high & low beam optics, giving drivers that ultimate punch of light they are looking for at night. 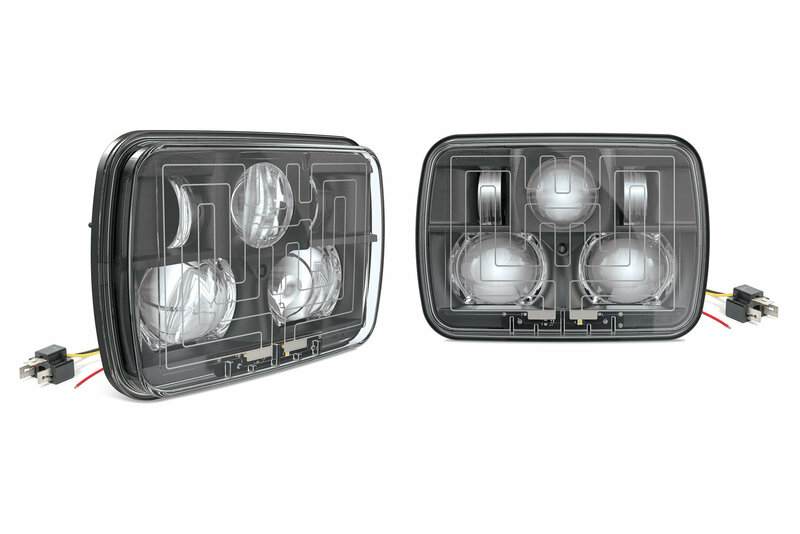 Our unique heated Headlamps feature SmartHeat® with LED light sensors that automatically activate the heat elements at startup or as outside temperatures drop to freezing. Once any accumulated ice or snow has melted and the lights have met the high temperature threshold, the SmartHeat® grid system automatically shuts off. All Premium LED projector head lamps feature fully approved DOT markings and easy plug & play installation with not modifications required. Made in the USA. 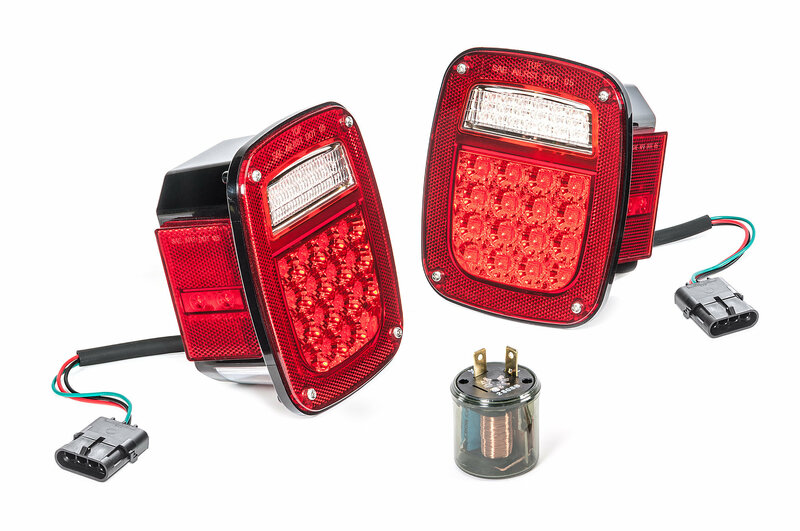 LED tail lamps feature a clean, OEM look. Install using factory wiring harness. 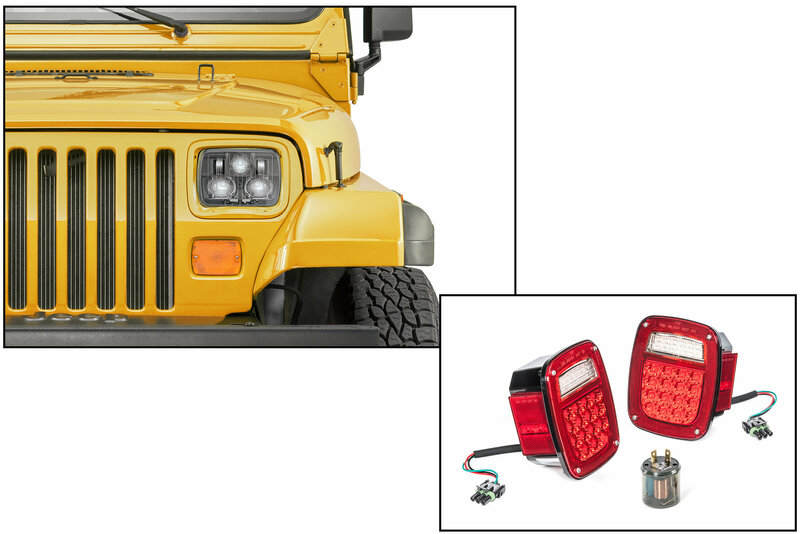 Plug & Play: No modifications needed to add these headlights to your Wrangler YJ, just use the provided wiring harness to plug right in and get back on the road with a set of brighter headlights. These traditional looking tail lamps have a clean no-nonsense look of original equipment with the custom looks and performance of solid state LED (light emitting diode) technology. LED lamps provide a brilliant light that outlasts incandescent bulbs and is the new standard in automotive signal lamps. 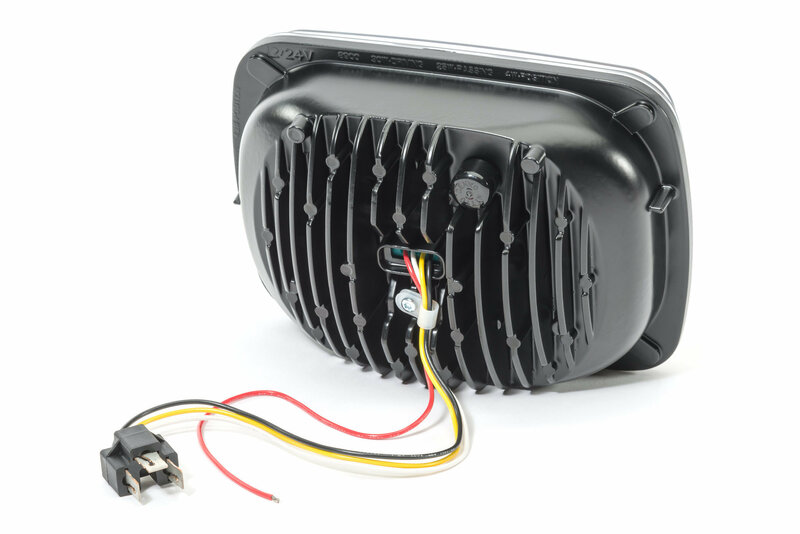 Our tail lamps are designed to operate with all existing factory wiring harness connectors and include a new signal flasher module for easy installation and flawless operation. These plug and play lamp assemblies install in minutes with no splicing or modifications required with pre-terminated wiring and factory plug ends.